In one of my earliest and most vivid memories, I sat watching a cartoon about an alligator. Something sad happened to the alligator and I started to cry. Upset, I ran to my father for comfort. He asked if I was crying because of the cartoon or because I felt sick. For whatever reason, I quickly felt ashamed, and lied, saying my stomach hurt. Ever since that moment I learned to keep my emotions to myself. We were a fairly strict Roman Catholic family and, while never stated, strong emotions other than happiness/contentment, were kept hidden and really never spoke of. As usual, pretending things are other than they actually are never turns out well. Having no idea how to deal with these emotions as a child I let them build up until they exploded in a tantrum of one sort or another. It wasn’t until somewhere shortly before/during/after my voice changed that I found writing emotion filled purges was a much more positive way to deal with them and so it was that I started writing in a journal. Thus, with that foundation, most of the entries were nothing more than emotional garbage spewed onto a page as quickly as possible to get it out of my head and were never meant for anything else. 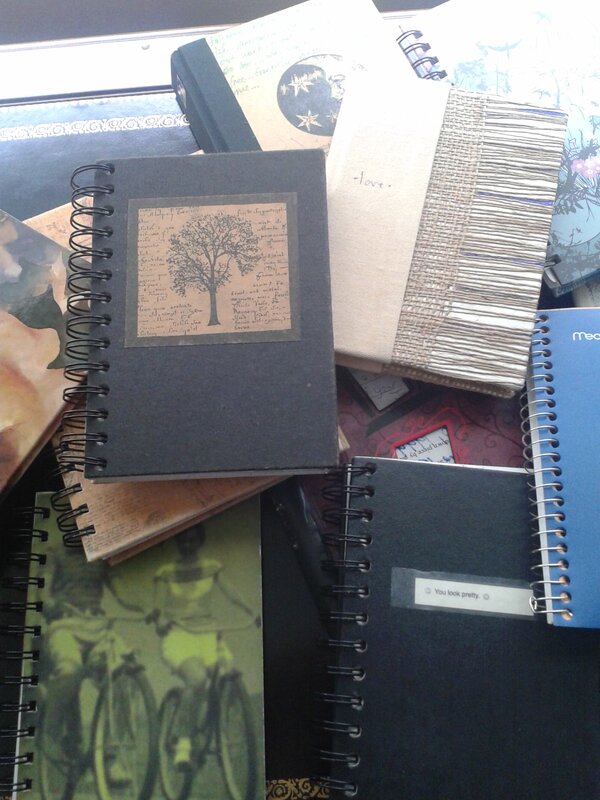 And so, a stack of journals has sat in a drawer for years. Occasionally I’d open one up and shake my head at whatever nonsense I found. I still find writing in a journal a useful exercise, but (I’d like to think) they go deeper than the ones I kept as a teenager (which is admittedly doubtful). Yet for a long time I’ve wanted to do something with them. The earliest surviving journal dates from 1999, giving me some 13 years of material to work with. And so the other day I came up with an idea for a project called 13 years. The goal (challenge) is to take all of these and turn them into an interesting year-long journey. My method is to identify all entries from a certain date, say for example June 25, from all of the journals. Using only the materials from these entries I’ll create a post entitled 13 years: June 25 and do the same for each date that has journal entries from at least two different years. I can arrange the sentences/phrases in any way, but cannot add anything that is not there. I may, however, remove/change names to protect the innocent (but mostly to protect myself from embarrassment and potentially awkward situations). The project will go from today, August 1, 2013 to July 31, 2014. The first date with at least 2 entries is tomorrow. Going through and outlining all the August entries I found only 4 days will not have posts due to only one entry being available to work with. Some days have up to six entries, while a handful have just two. Thus the amount of material to work with each time will vary greatly. What will come of it, I have no idea. Surely some will be better than others, but hopefully it will be a worthwhile experiment and journey to take. In my obsession with time since I was little, I have always put a time stamp on every journal entry and so will post them at the exact time corresponding to the earliest journal entry for that date. So tomorrow at 1:13 A.M. the first post in this project will go up. I’m excited and hope you are too.